Do you find it difficult to spend time with your family, especially your children because of your busy schedule? Do you feel like they are growing up fast without enough time to bond with you? 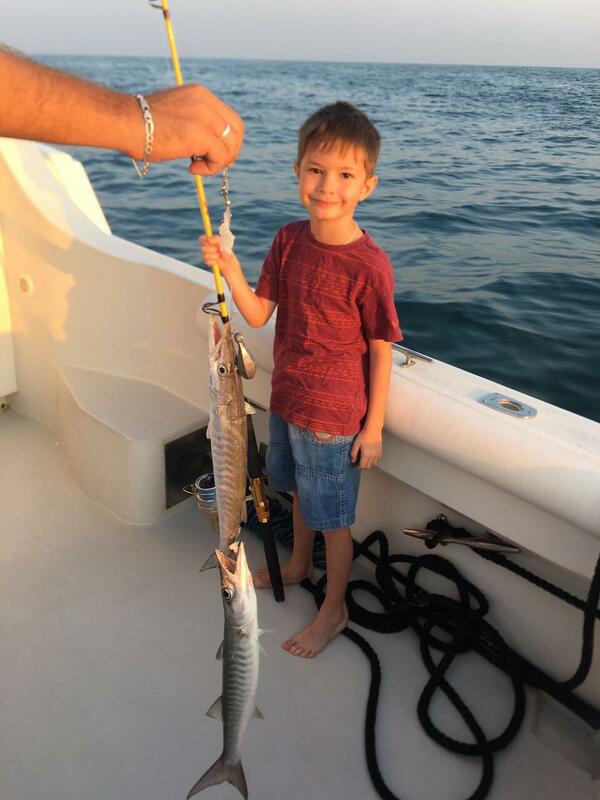 If you are in desperate need of family time, then it’s time to unplug yourself from all the rush and fuss of life, look for a good fishing boat charter in Dubai and plan a fishing trip with your kids. What better way to bond with them than teaching them your favourite hobby? Fishing is the best thing you can take your children, as it completely cuts you off from the rest of the world. It’s just you and your family and the wonderful time you spend out in the blue seas. Out in a fishing boat charter, you can your family can enjoy great conversations while having fun catching fishes for dinner! There are many companies that provide fishing boat charter in Dubai. However, you need to find the best one that suits your needs. Some of the yacht charter companies have just luxury yachts for private cruises. However, for your fishing needs, you will need a fishing boat charter with a 600 horsepower that can comfortably take you to the best areas in the sea to lure in a catch in no time. You will also need a seasoned captain and crew, and a fully equipped boat for a fulfilling experience. When you are fishing with your family, teaching your kids how to throw the bait, and how to pull the line back, you tend to keep your eyes and ears open and are more aware of your surroundings. You listen to conversations, talk more with your kids and take time to see your family relax far away from all their worries. If it is the first time for your kids, take advantage of their curiosity to teach them more chores around the yacht and keep them engaged. Allow your kids to take lead once in a while, make them learn in their own time. Your fishing trip on the fishing boat charter doesn’t have to be all fishing business and no play. You can make it eventful by throwing in some great music and games to liven up your trip. Bring in any musical instruments you and your kids like to play, like a guitar, and have great fun playing it out on the deck. Your family fishing trip is not just about fishing; its the whole experience of waiting for your catch, excitement at getting a few great catches and in the end, feeding on it! Take this opportunity to teach your kids that special fish recipe or just spend some time cooking with them in your kitchen. If you like the whole experience a little too much, it never too soon to book another fishing boat charter soon! The best thing about a fishing trip on a fishing boat charter is that it never gets old. Whenever you feel like taking a break from life and have family time, the open sea and our fishing boat charter in Dubai will be at your service.